Features rigid tooth-like design that holds label in place. 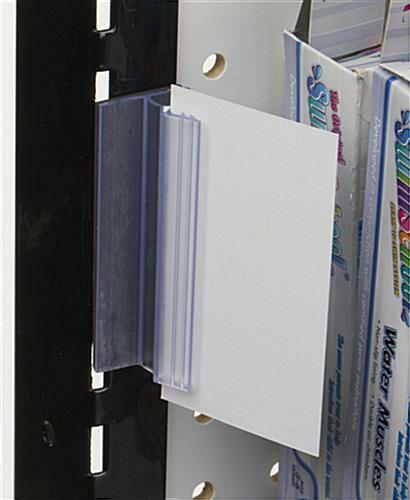 Constructed with magnetic backing to stick to shelving unit or rack. 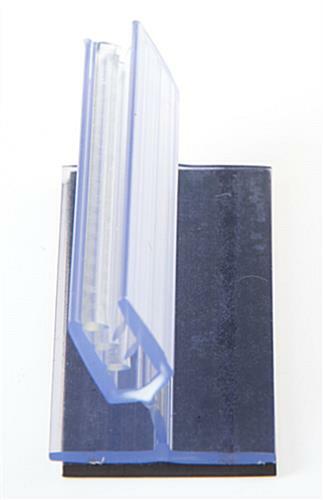 Single purchase includes (100) 3" long hinged PVC grips. Light duty magnet is great for metal store shelves. 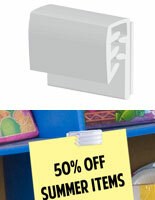 A magnetic sign gripper is sold at a wholesale price for use in a variety of business locations. This magnet display is crafted with PVC plastic. Each magnetic sign gripper, for retail shelf, is 3” long. 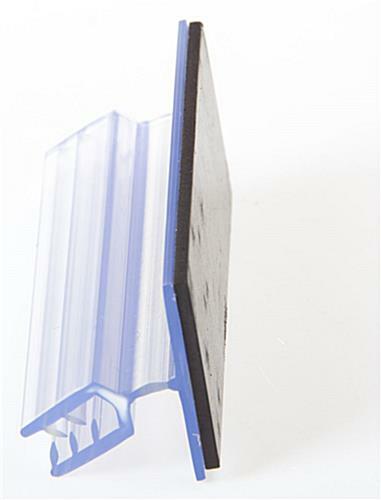 The magnet display holder securely grips a signage card. 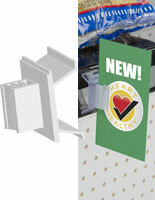 A magnetic sign gripper, with PVC plastic, makes it simple for merchants to label food items. 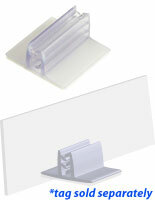 The card holder is easy to change out for employees to identify different store merchandise. 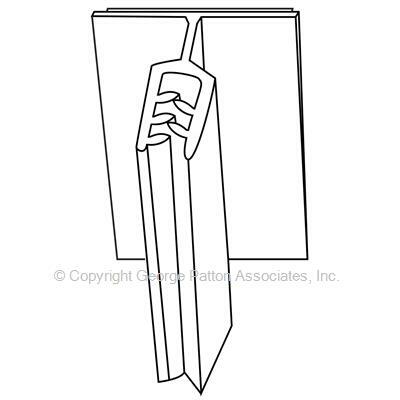 Each magnetic sign gripper, that is a magnet display, is sold in sets of 100 units. The card holder can display prices, names, and descriptions of items. This magnetic sign gripper, that is a food label, features a tooth-like design. 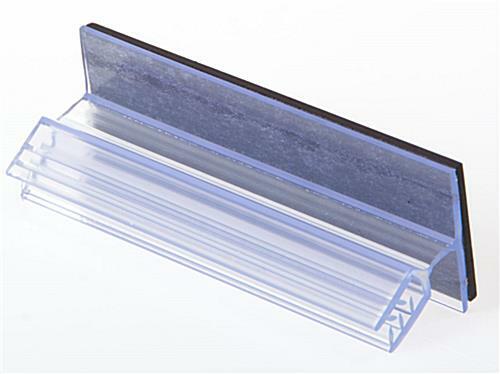 The retail shelf accessory has a clear channel to blend in with a variety of environments. Each magnetic sign gripper, that holds a signage card, can be placed in the deli, the bakery, and other locations within a grocery store. These food label accessories are most commonly seen in shopping centers. 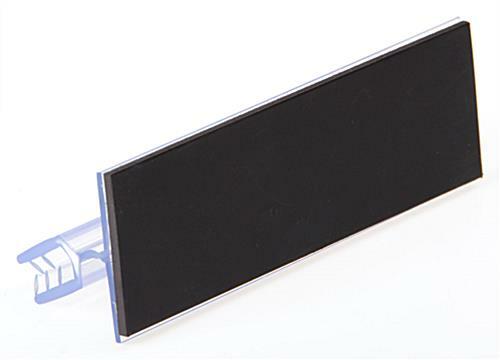 A magnetic sign gripper, also known as magnet display, is available for purchase in bulk quantities. This plastic holder firmly grips the displayed price card. 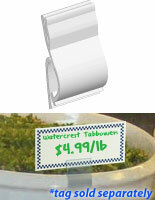 Each tag holder, magnetic sign gripper is ideal for food service locations to display several labels! 6.5" x 1.0" x 1.0"